An online patient handbook for the Wah-Zha-Zhi Health Center is now available to the public listing information on clinic services and patient rights and responsibilities. The 24-page document can be accessed through the WHC page on the Osage Nation’s www.osagenation-nsn.gov website under Important Links. 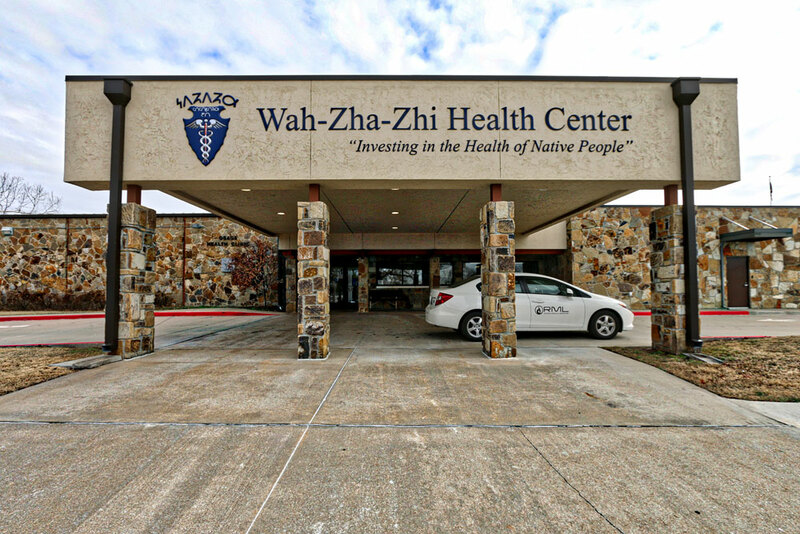 The booklet also notes patients from all Native American tribes are welcome with direct services available to all eligible patients no matter their residency and referral care is only allowed to those residing within the Osage Nation reservation boundaries. Also, in recent updates, WHC Clinic Manager Daniel Sherron shared newer demographic information with the Nation’s Health Authority Board on March 21. As of February, Sherron said the clinic has 19,832 patients. “I believe last meeting I projected we would exceed 20,000 mid-March/ April 1 and it looks like we’re on course to do that,” Sherron said. Of the WHC patient count for February, Sherron said 49.65 percent are Osage and Cherokee Nation citizens are second at 26 percent, he said. For age groups, Sherron said the top two age categories of patients that utilize the WHC are 55-64 and 65-up. Patients who use the WHC are encouraged to keep an “active chart” which is needed for clinic care, according to the handbook. Patients who utilize the clinic within the last three years have an active chart. If the patient chart becomes inactive, patients will be asked to update their chart information and provide proof of tribal enrollment or Certificate Degree of Indian Blood, which is required upon initial chart setup. The handbook also lists patients’ rights and responsibilities, as well as a patients’ conduct and accountability list, which includes: “Be respectful and considerate by maintaining civil language and conduct in interactions with caregivers and other staff” and the clinic asks patients to notify the WHC within a 24-hour period if an appointment cancellation is needed. The WHC has a “No show or late policy” in place for patients, per the handbook. A “no show” appointment occurs when a patient does not cancel within two hours of their scheduled appointment time and a patient is considered late when a patient arrives at the reception desk more than 30 minutes after the scheduled appointment time. For “no show” consequences, the handbook states: A patient will receive a letter of notice for his/ her first “no show” appointment. The patient will receive a certified mail notice for a second “no show.” A third “no show” occurring within a 12-month period will result in the patient being suspended from pre-booked appointments for six months. The handbook has a list of healthcare services available at the WHC including medical clinic appointments, optometry, dental, pharmacy and laboratory and radiology for tests ordered by WHC primary care providers. For patients needing medical care beyond the WHC services, the clinic offers a Purchased Referred Care Department (previously Contract Health Service at IHS clinics), which processes referrals/ requests for health care treatments at outside health facilities. Per the handbook, WHC patients who need referred care are required to have an active clinic and Pawnee Benefit Package charts; patients must be members of a federally recognized tribe and must reside in the contract health service delivery area. The clinic can be reached at (918) 287-9300 for more information.